A massive master suite befitting a noble sea captain, this popular room features a striking California king-sized sleigh bed with super comfy mattress and luxurious top-of-the-line bedding. 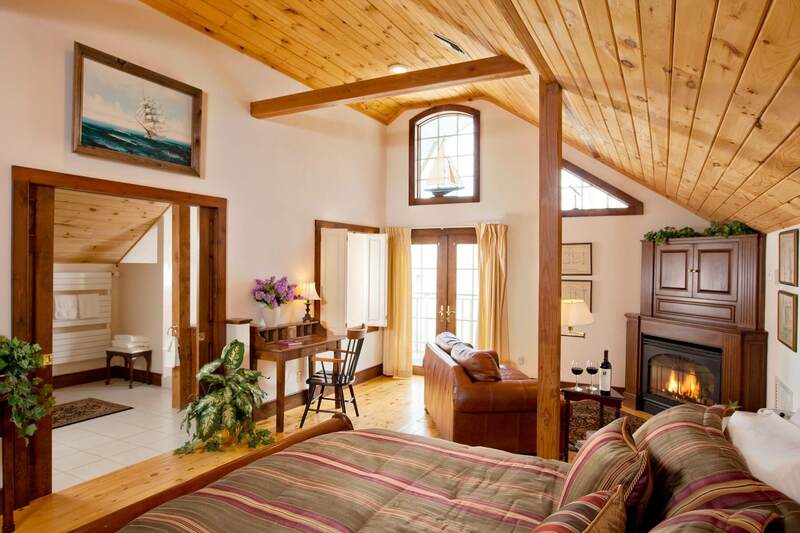 Situated on the top floor of the Yellow Barn, the Shubel Suite offers privacy from all other rooms and provides the ideal accommodations for an unforgettable honeymoon. 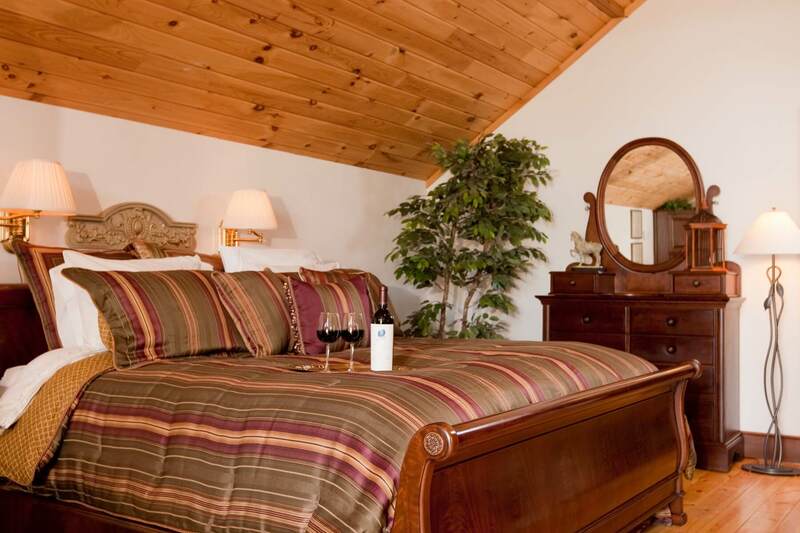 With plenty of space to spread out, this room is also popular with guests seeking extended stays. 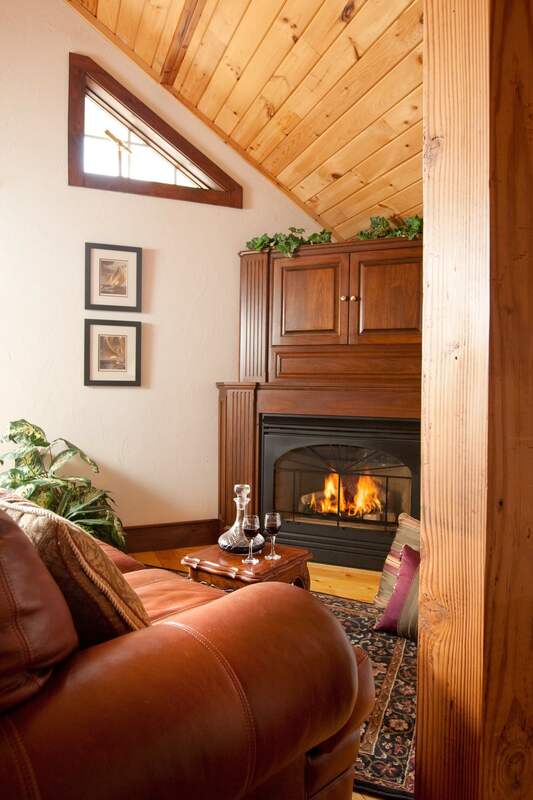 The suite is furnished with wood floors and soft carpets throughout, fireside leather loveseat (that can pull out to a twin bed), a handsome armoire, a private balcony, a small writing desk, and large mirrored dresser. The bathroom is one of the largest you’ll ever see – offering his and her lavatories, a bidet, a super-sized walk-in shower, and heated towel rack. 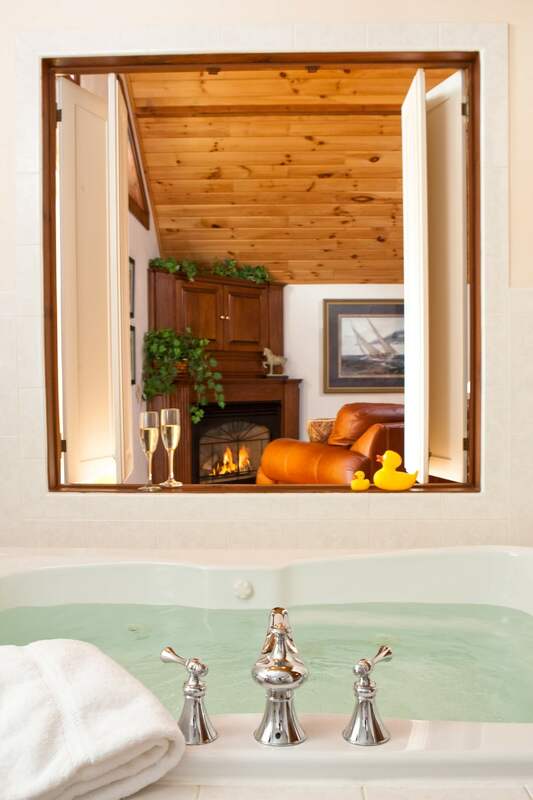 Open the shutters of the two-person whirlpool tub and enjoy the flickering gas fireplace (Oct. 1 – April 30) while you soak. Expansive room with patio doors opening out to a private balcony.